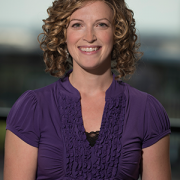 Shayna Coburn, Ph.D assistant professor and psychologist at Children’s National Health System. 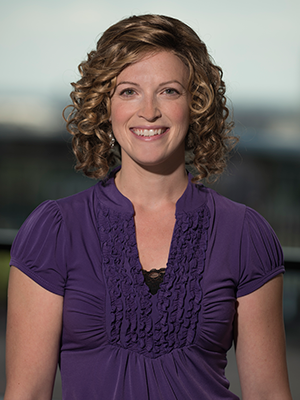 Shayna Coburn, Ph.D., assistant professor and psychologist at Children’s National Health System, has been awarded an American Psychological Association (APA) Achievement Award for Early Career Psychologists. APA’s Committee on Early Career Psychologists announced the award for early career members who work in all areas of psychology (education, practice, public interest and science) to attend the APA Annual Convention August 2018 in San Francisco. “At this early stage in my career, the recognition of my achievements thus far is highly valuable as I expand my body of work and strive to advance my career,” Coburn says. The awards program was designed to reduce barriers to early career members’ attending APA conventions and to support their ability to make meaningful connections and engage in professional development. As a recipient of the award, Coburn received reimbursement up to $400 for convention-related expenses that could cover travel, lodging, meals and/or convention registration fees. Throughout her career, Coburn has been passionate about clinical and research excellence as well as advocacy. In her current position in the celiac disease program, she has been involved with establishing a new psychosocial health program that combines multidisciplinary clinical service, research and community outreach. During a previous APA convention, Coburn was able to attend as an exhibitor to promote a free continuing education program. This year was the first time she was featured as a presenter, speaking about celiac disease and psychosocial challenges associated with the disease. Coburn presented data from Children’s National celiac disease multidisciplinary clinic to report the incidence rates of symptoms that patients experience such as anxiety, depression and stress from a gluten-free diet. “The most important aspect of the award was having the largest organization of psychologists recognize that during the early stages of my career, I have been involved in work that is meaningful to the community,” Coburn says. “It’s always helpful to have extra support to attend a conference that is across the country from my home in Maryland,” she adds. The leader and collaborator in a range of scientific, clinical and community-based activities thanks the award for being invaluable in facilitating her attending the conference and being able to participate in career-building and networking opportunities that will help enable her to build professional relationships nationwide. 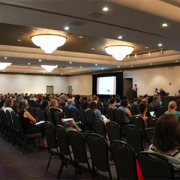 On June 10, 2018, some of the brightest minds in the field gathered at the 2018 Washington DC Gluten-Free Education Day and Expo to discuss opportunities and challenges associated with living a gluten-free life. The one-day expo focused on how the food we eat affects our brains, how to dispel gluten-free myths and how to think outside the box with new recipes and cooking demonstrations from local restaurants, bakeries and chefs. Keynote speakers for this year’s symposium included Benny Kerzner, M.D., medical director, Celiac Disease Program at Children’s National, Jocelyn Silvester, M.D., director of Research, Celiac Disease Program at Boston Children’s Hospital and Ian Liebowitz, M.D. from Pediatric Specialists of Virginia. 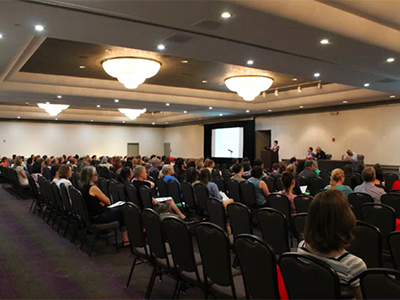 Additionally, Edwin Liu, M.D., from Colorado Children’s Hospital and Ilana Kahn, M.D., from Children’s National gave a joint keynote on the autoimmune connection, focusing on conditions related to celiac disease and the gut-brain connection. Teen mentors gave a panel discussion for the 13+ age group attending the conference in a session called “For Teens from Teens!” during which they discussed the challenges of navigating a gluten-free lifestyle as a teen. In addition to the useful educational sessions, attendees visited many of the 57 vendor tables with gluten-free product samples voting for the best sweet and savory winners. 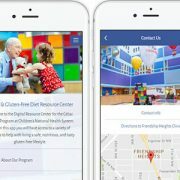 The Celiac Disease Program at Children’s National Health System started in 2009 to improve the way pediatric celiac disease is diagnosed and treated. 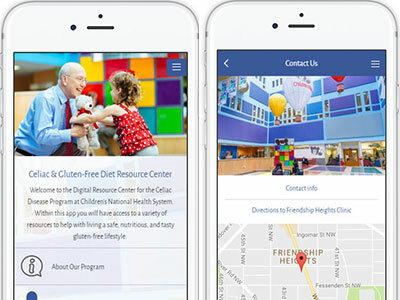 Working in partnership with concerned members of our community, our Celiac Disease Program brings together a team of expert physicians, nurses, nutritional consultants and professional counselors dedicated to developing a national model for detecting and treating celiac disease in children.